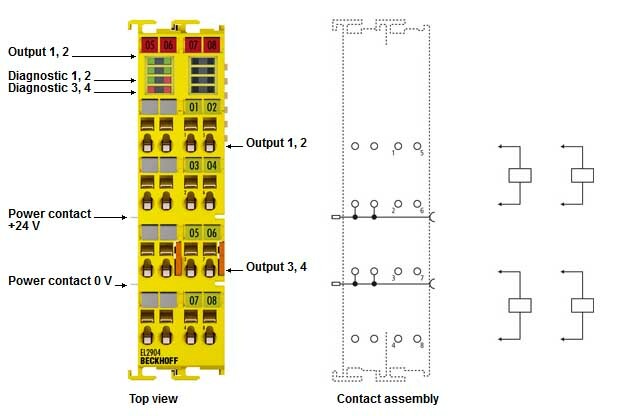 The EL2904 safety EtherCAT Terminal is a digital output terminal with four channels. It switches 24 V DC actuators with up to 0.5 A current per channel. If the EtherCAT Terminal detects a fault, it switches off automatically (fail stop). The EL2904 meets the requirements of IEC 61508 SIL 3 and DIN EN ISO 13849 PL e.